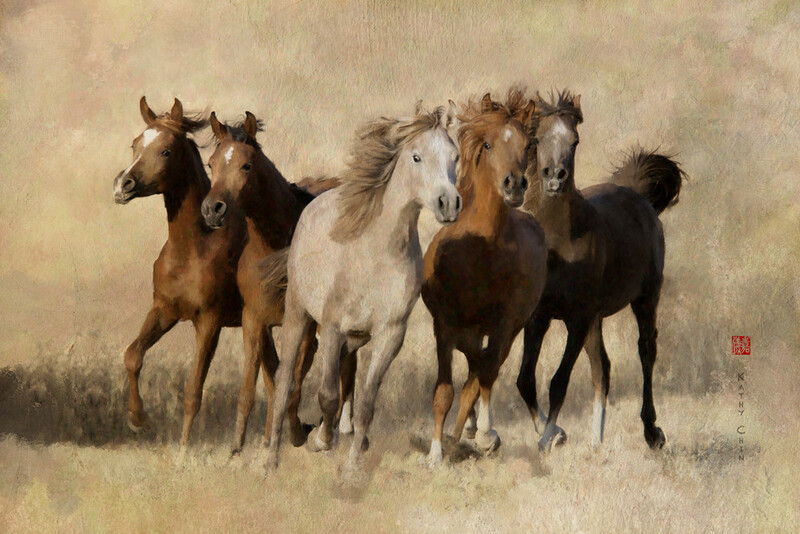 This photograph of 5 Arabian colts was taken at a ranch in Central California by photo artist Kathy Chin. While you may think these youngsters were placed together, they weren't. There was quite a few of these colts, but each had their favorite friends and seemed to break into smaller groups as they ran. This group of 5 seemed especially frisky and almost seemd to pose for the camera. 5 young colts running in meadow as a herd, Arabians, texture back.